[Update] NVIDIA shared some additional Resident Evil 2 Remake gameplay, showcasing the PC version running at 4K resolution. [Original Story] New Resident Evil 2 Remake footage emerged online today, showcasing sequences from the campaign of the two main character. The new footage, which has been captured during Gamescom 2018, has been shared by Dengeki and IGN, showcasing Claire and Leon’s campaigns. You can find the videos below. 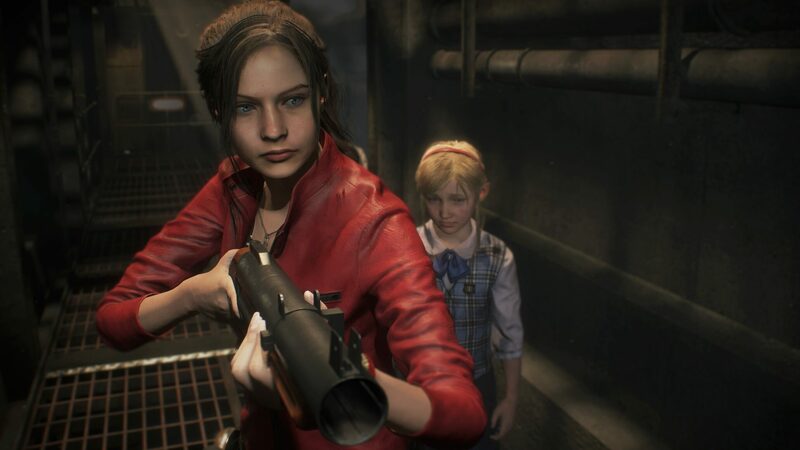 Yesterday, Capcom shared new Resident Evil 2 Remake screenshots which focused mostly on Claire Redfield. Like in the original release, Claire finds herself in Racoon City searching for her brother Chris. Claire Redfield has been on a mission to find her missing brother Chris – a mission that brings her to Raccoon City. Fans of the original Resident Evil 2 will be intimately familiar with the iconic scene of Claire riding into town on her motorcycle, shortly before meeting up with rookie police officer Leon S. Kennedy and working together to escape the zombie hordes plaguing the city. Surviving the streets of the once-lively city, Claire manages to make her way to the Raccoon City police station, hoping to find information on the whereabouts of her brother, Chris… but she finds something much more sinister instead. In this preview, Claire explores a new portion of the R.P.D. before encountering a small, young abandoned child hiding in the sewers and waterways beneath the iconic station. Long-time fans need no introduction to who this child is, or the reason she’s running scared; Sherry Birkin warns Claire that a horrendous monster is right behind her, and the next chapter in her fight for survival begins.